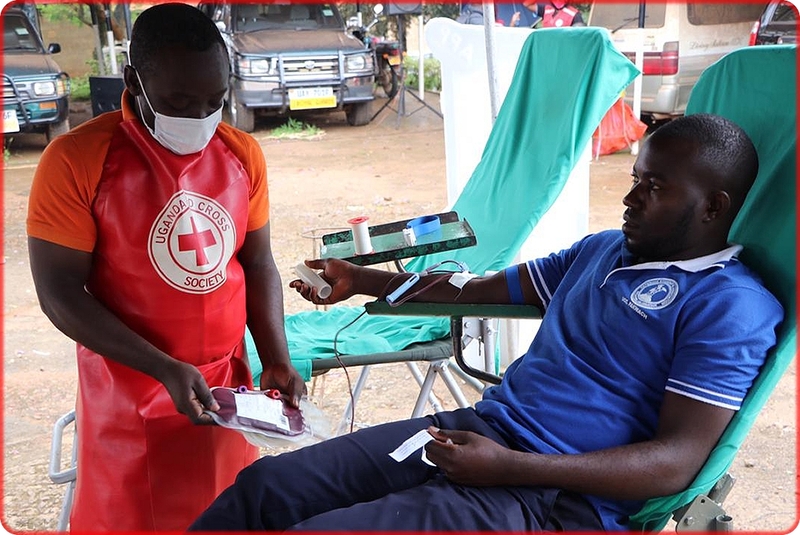 Through their CSR arm (Everton in the Community), Everton FC in March 2018 signed a memorandum of understanding with partners in the West Nile Consortium that included Uganda Red Cross Society and Onduparaka FC to use Sports to support the refugees and hosting communities in West Nile, Northern Uganda. 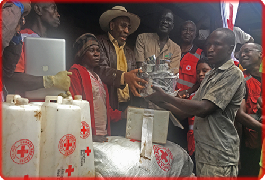 The Uganda Red Cross supports refugees by providing humanitarian assistance, protection and psychosocial wellbeing. 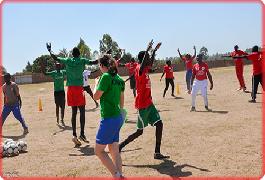 Working with Onduparaka FC, a West Nile prominent local football team, popular and supported by many local people has helped to mobilize for the involvement and participation of the hosting community to be part of the football clinic. 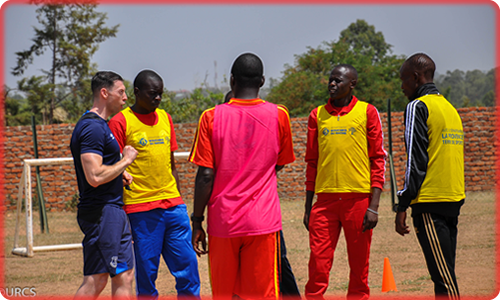 This week, Everton in the Community mobilized resources to start a well packaged week long coaching Clinic for 40 trainees who are being trained as Coaches. These coaches will in turn become community coaches and will bring together the different communities they represent to play football. Among these trainees are refugees who will bring the refugee communities from different West Nile refugee settlements to play football as part of psychosocial therapy for those affected by effects of war and trauma. “We thank Everton for the support that has enabled us to bring together all these people. Being a refugee might be one of life’s biggestchallenges. It comes with a lot of deprivations, trauma and other limitations. Thousands of refugees in the world go hungry, others just fall sick and die, any are killed by the stress and circumstances while stress and boredom linger on majority. Everyone cherishes being in their home country, peaceful, working studying and have a happy family life. For many years, South Sudan has been raging with war and this has pushed over a million refugees into Uganda. Despite Uganda’s friendly refugee policy, these still stay in settlements, with a small chunk of land, only a few household items, and still get food rations. Life is generally not a bed of roses. 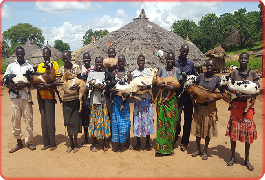 The situation however, is quite differentfor this young, enthusiastic and visibly happy family of four in village 6,Imvepi refugee settlement, in Nnorthern Uganda. KennedyMetaloro 27, lives with his wife StellaOnesta, 24 years old and their two daughters; Patricia- 3years and Gloria, (2 years), in their grass thatched house in the settlement. On seeing us approach their home, the two beamed with smiles and excitement as they welcomed us into their home with open hands. 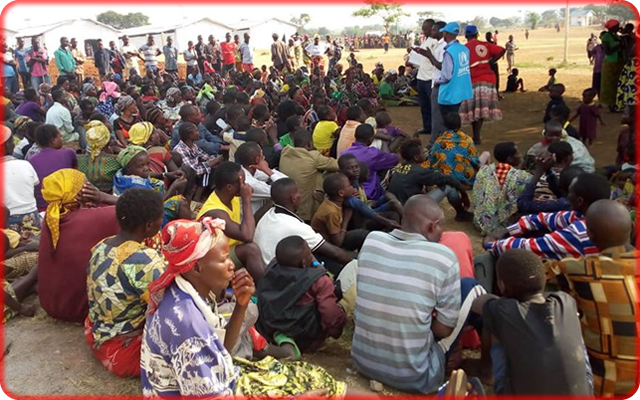 The Effects of inter-communal violence that broke out in Ituri region of the Democratic Republic of Congo (DRC) in December 2017 resulted into mass displacement and population movement of people from the DRC to Uganda. 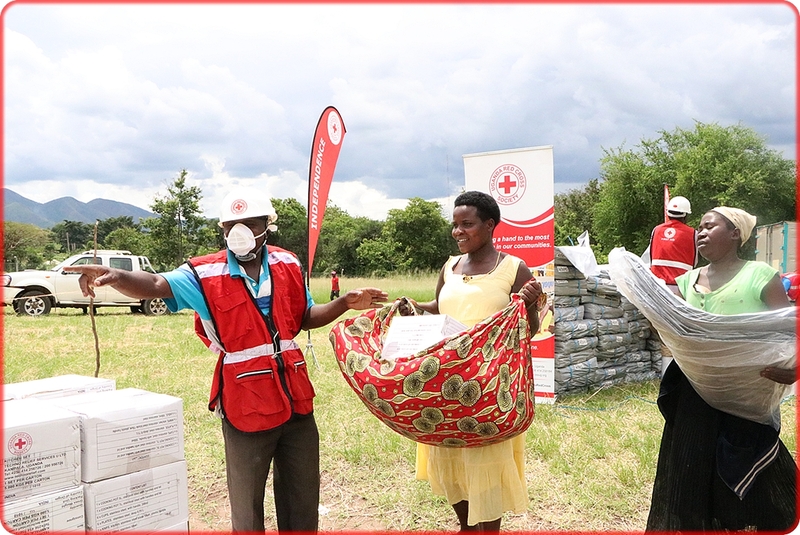 Uganda has since opened boarders and started receiving refugees through the Lake Albert in Sebagoro (Hoima district), South Western border points in Ishasa&Butogota (Kanungu district), Nteko&Bunagana (Kisoro district) and lately Kanara (Ntoroko district) as well as the West Nile region unofficial border points through Zombo district. Since December 18th 2017, Uganda has received 29,292 refugees from the Democratic Republic of Congo (UNHCR Updates, February 9th, 2018). 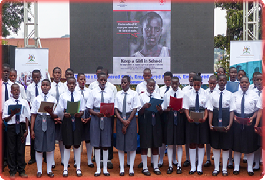 Of late, Uganda receives about 5,260 refugees per day which has proved an overwhelming influx to contain at such a time. 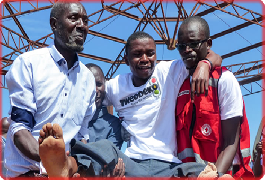 This crisis has severely stretched the capacity of Uganda’s refugee centers and constrained the country in terms of providing social services, food, health, education, and water and sanitation services among others to the refugees considering that already Uganda has been receiving refugees from South Sudan. 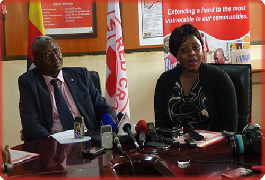 Uganda Red Cross through its mandate joined the UNHCR and Government of Uganda to support the refugee influx especially to the most vulnerable. 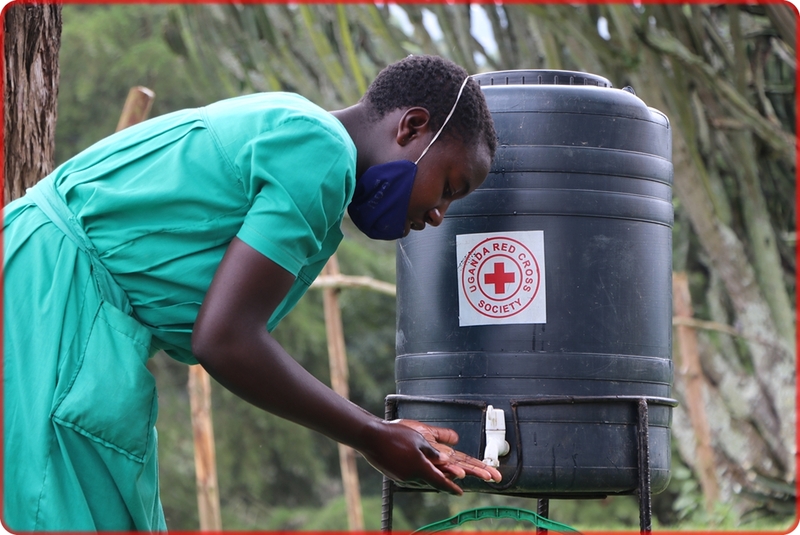 “We work closely with government local structures to receive and register refugees at some entry points, (conducting first level registration, crowd control) we are implementing Sanitation, Hygiene and Health promotion activities in the camps, Psychosocial support and Community Engagement and Accountability initiatives through the IFRC Disaster Response Emergency Fund (DREF). 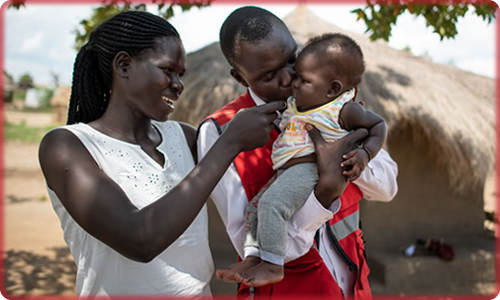 We also provide tracing services to restore broken family links and give chance for separated family members to reunite and live together happily.” Robert Kwesiga, Uganda Red Cross Secretary General. 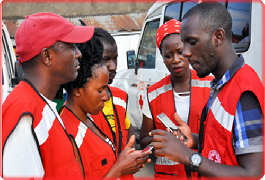 Uganda Red Cross launches emergency appeal to support Bududa landslide victims. 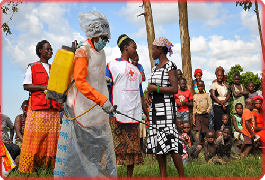 Communication as Aid; Using music and drama to disseminate Ebola prevention messages in Kabarole district, South Western Uganda.